New research has shown for the first time how many children are living with cancer in the UK. According to data from Macmillan Cancer Support and the National Cancer Intelligence Network, almost 10,000 children nationwide are affected by the disease. A breakdown of the figures shows a fifth more boys than girls have been hit by cancer, with leukaemia the most common diagnosis. It accounts for nearly a third of new cases each year. 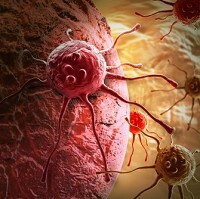 Covering all cancers, 47% were diagnosed at least five years ago, the analysis of babies up to 14-year-olds revealed. With the news that five-year survival among children has also increased, from 66.6% in 1990 to 81.3% in 2006, travel insurance for cancer patients could be an option for families planning to take holidays after successful treatments. However, Ciaran Devane, chief executive of Macmillan Cancer Support, said more support is needed and urged the best possible follow-up care for children with cancer. "While many children will go on to survive their diagnosis, we know the impact of cancer does not stop when treatment ends", he said. "More must be done to support the thousands of children living with cancer in the UK. Far too often they end up lost in the healthcare system and are not receiving appropriate and timely follow-up care. "Adult specialists and GPs need to know how to manage the side-effects and lifestyle changes that can affect those treated as children." Dr Michael Peake, clinical lead for the National Cancer Intelligence Network, said: "To my knowledge this is the first time such data have been available in the world and it certainly quantifies the burden children with cancer and their families have to bear. "It will also help support the NHS to plan how it should deliver the optimum level of expert care for these children as they grow up."